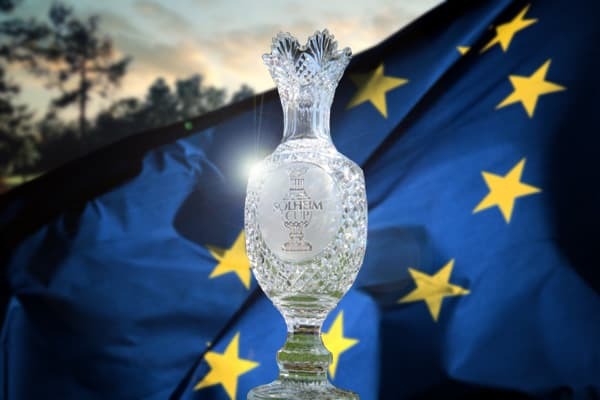 The Solheim Cup is the most prestigious team event in women's golf, with the elite individuals from Europe and the United States battling for the famous crystal trophy. 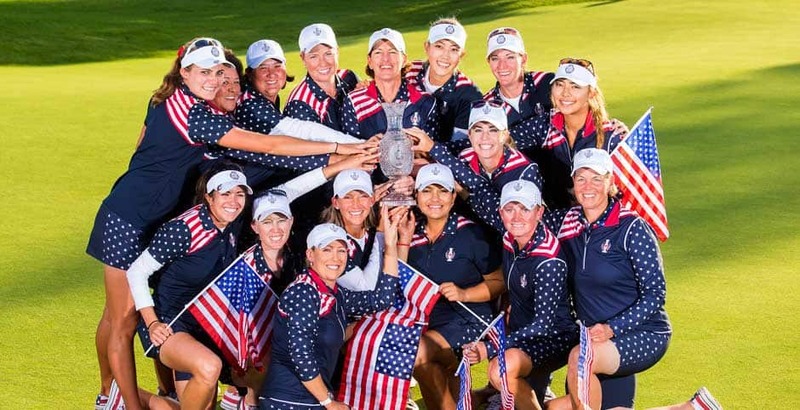 Like any good team format championship, the Solheim Cup is charged with emotion, with patriotism and national glory fuelling the fire. 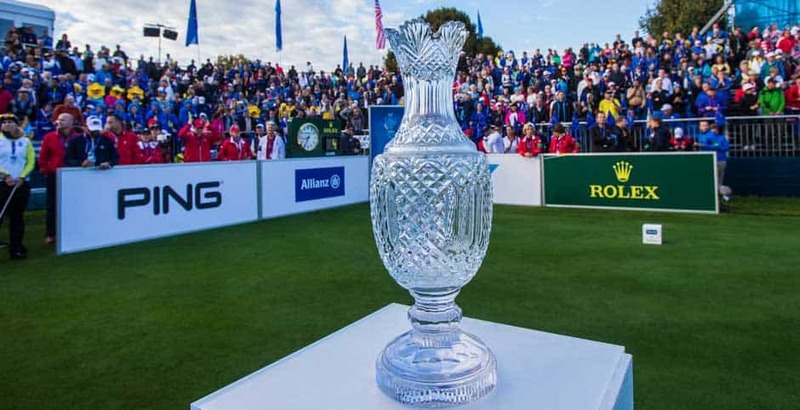 It is now well established, but the Solheim Cup has only been competed for since 1990, when the dream of Ping founder, Karsten Solheim, was finally realised. 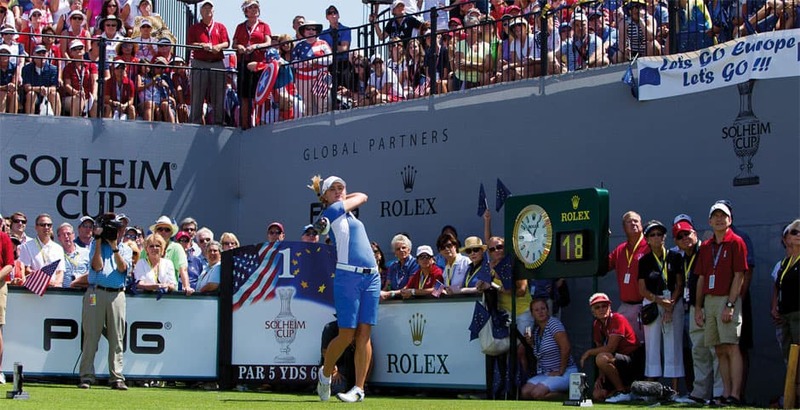 An avid backer of women's golf, Solheim made history by pioneering this now prestigious event. 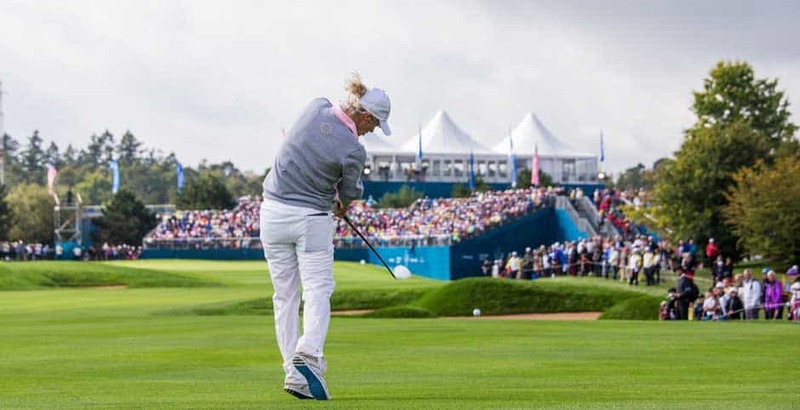 Like the Ryder Cup, the women's equivalent is played every two years and alternates between venues in Europe and the United States. 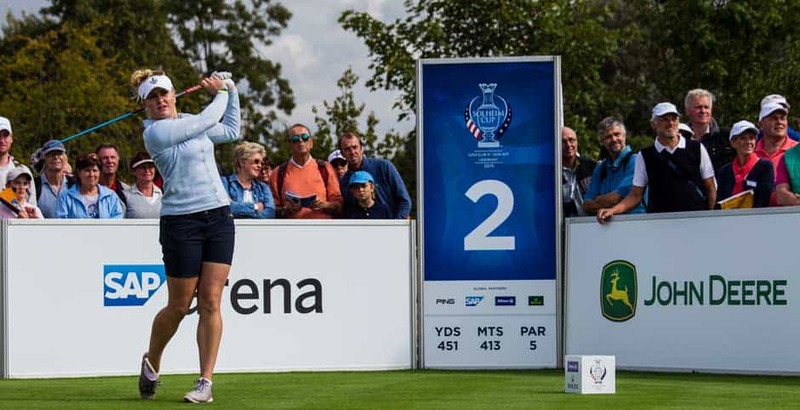 Enquire now for your chance to soak up the phenomenal atmosphere with our official Solheim Cup ticket and hospitality packages. Fri, 13/09/2019 at 8:00 a.m.
Fri, 13/09/2019 at 7:00 p.m. Sat, 14/09/2019 at 8:00 a.m. 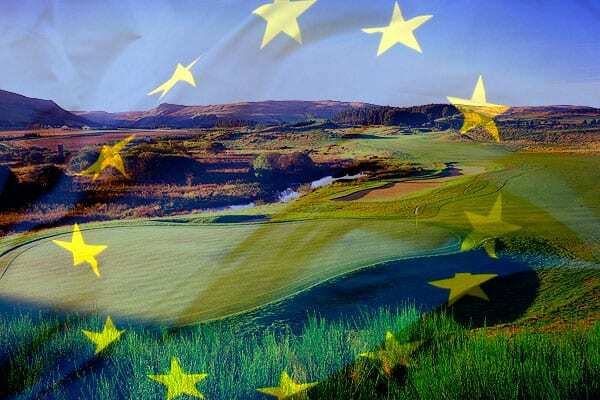 Sat, 14/09/2019 at 7:00 p.m.
Sun, 15/09/2019 at 8:00 a.m.
Sun, 15/09/2019 at 7:00 p.m.
For the first time in history, Europe won the Solheim Cup on American soil and, unlike the Miracle at Medinah last September, this was no close affair; the USA were crushed. 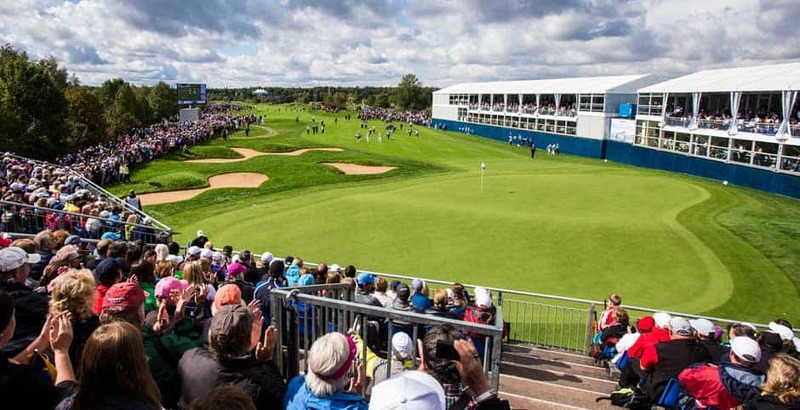 After a memorable Ryder Cup at Gleneagles in 2014, Visit Scotland, backed by the Scottish Government, will lead a bid for the 2019 Solheim Cup to be hosted at the famous Perthshire venue. Gleneagles lies just off the A9 about halfway between Stirling and Perth. From Glasgow take the M80 towards Stirling then the M9 and A9 towards Perth. From Edinburgh take the M90 towards Perth then the A91 and A283. Use the postcode PH3 1SH for Sat Navs. Gleneagles has its own Station less than 2 minutes from the hotel with complimentary transfers. Gleneagles is on the main London to Inverness line, Virgin Trains East Coast railway services stop at Gleneagles Station, you can travel by train directly from London Kings Cross to Gleneagles Station in just over 5 and a half hours. Edinburgh and Glasgow airports are both approximately one hour's drive away. Arrangements can also be made to land helicopters at the hotel.